Campos Family Vineyards + Royal Family Kids Brentwood are excited to be partnering for an amazing fundraising event to benefit foster kids of the East Bay. 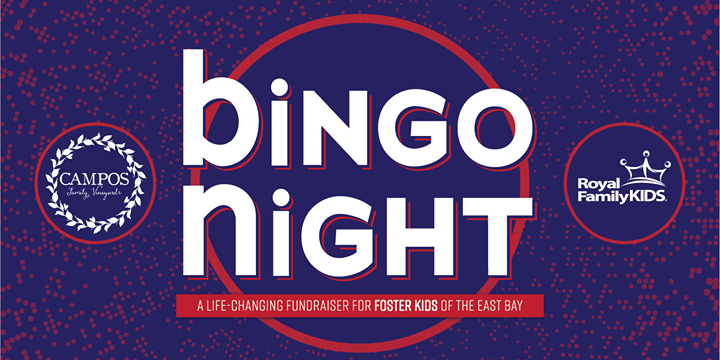 BINGO NIGHT promises to be way more than just another fundraiser … all proceeds from the night will go directly toward funding this summer’s Royal Family Kids Camp where the lives of 44 foster kids will be radically changed forever. • and of course… BINGO!